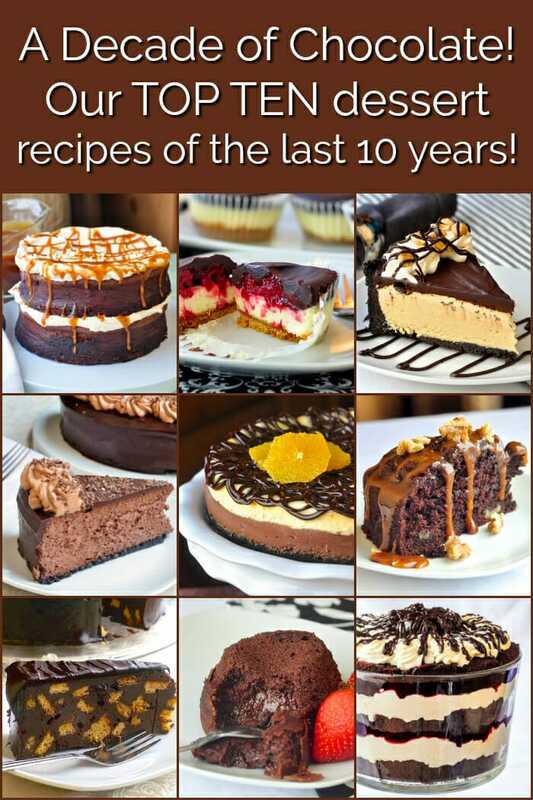 Best Chocolate Dessert Recipes from the past 10 years! Our Best Chocolate Dessert recipes from the past 10 years on Rock Recipes. 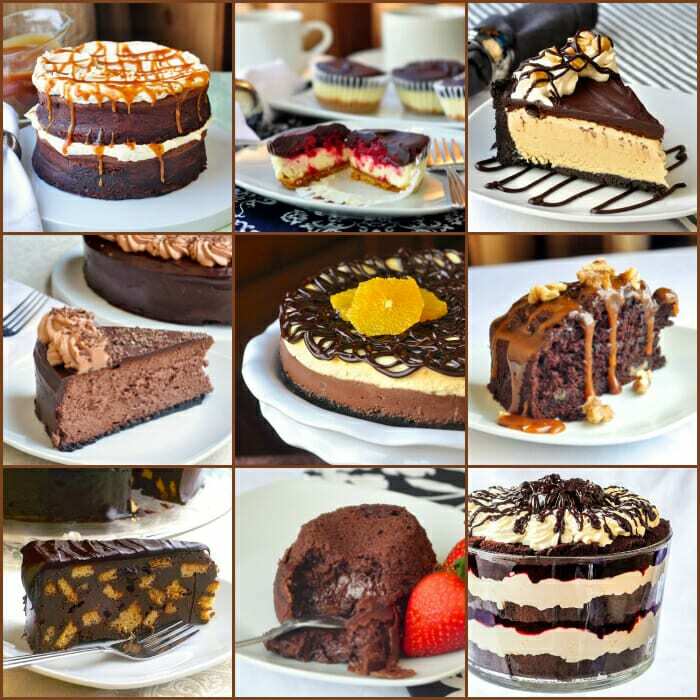 The top ten most popular chocolate dessert recipes with our followers in the past decade. You learn a lot of things about people from blogging for a full decade. One of those things is that you can’t possibly post too many of your best chocolate dessert recipes! 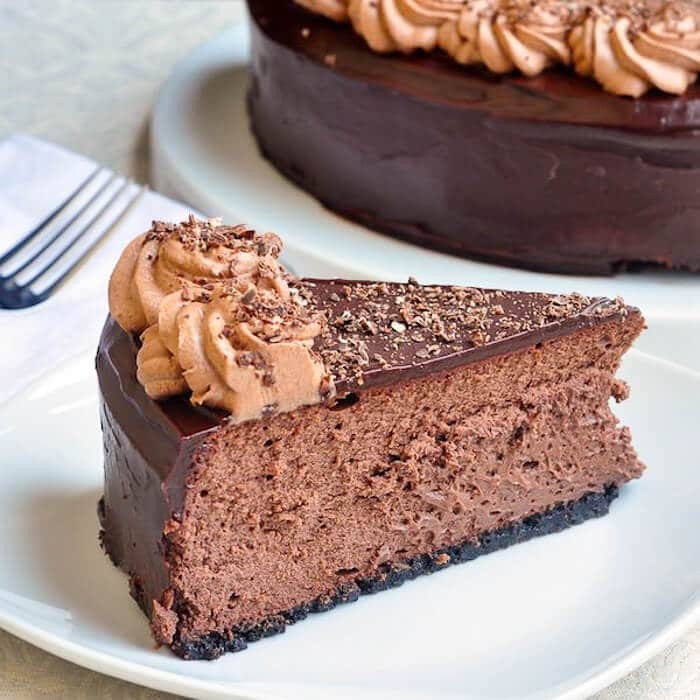 People who don’t like chocolate are in a very small minority in my experience and over the years these best chocolate dessert recipes have done very, very well. Some of these recipes have been viewed up to a million or more times on Rock Recipes. So if you’re a chocoholic like me, check out some personal favourites and fan favourites over the years. You’re sure to find several great recipe to try. This is probably the most popular coffee cake we’ve ever posted on Rock Recipes, and there are quite a few here if you search for them. This one is what I call a perfect Sunday morning bake. You can serve it warm for Sunday brunch or later in the day for Sunday dinner dessert. With luck, you can have leftovers from brunch to enjoy it twice in one day! Much akin to a chocolate lava cake, I find this recipe to be a bit easier to accomplish. Instead of a pool of chocolate ganache at the centre, this one has a soft warm, creamy chocolate mousse filling. A perfect Valentine’s Day treat to make for your sweetheart. This pie was an immediate hit on RockRecipes; people like me who adore Reeses Peanut Butter Cups, took to this flavour combination immediately. It’s a terrific dessert to make a day or even a week in advance of any occasion. Those who have followed Rock Recipes over the years know that I have a deep rooted love of any sort of trifle. It was my favourite childhood dessert along with a no-bake cherry cheesecake my mom always made. 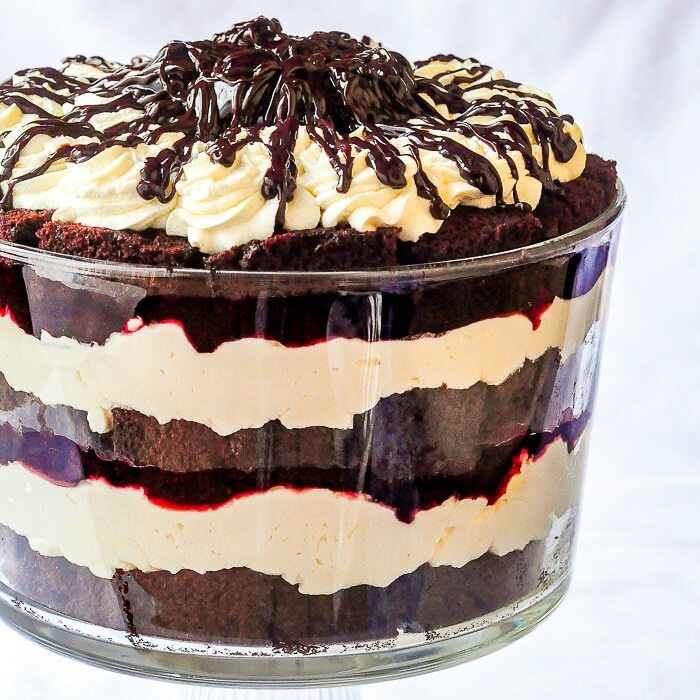 In this recipe I’ve combined the two into one of my ultimate trifle recipes. It is spectacular! It’s a particularly great dessert when serving a large crowd. These perfectly portion controlled mini cheesecakes are only 200 calories each! That’s no doubt a good part of the reason for their popularity. I’ve heard from readers over the years who have served them at weddings, parties and anywhere a pot luck dessert buffet is served. They will be the first to disappear at any get together. This is my favourite chocolate cake of all time and the one I most often request as my birthday cake. I admit, the frosting is a bit fussy to make but once you master it you will want to make it again and again. Smooth, velvety and melt in your mouth delicious! One of our earliest, if not the earliest, cheesecake recipe posted on Rock Recipes back in 2007 when we first started. 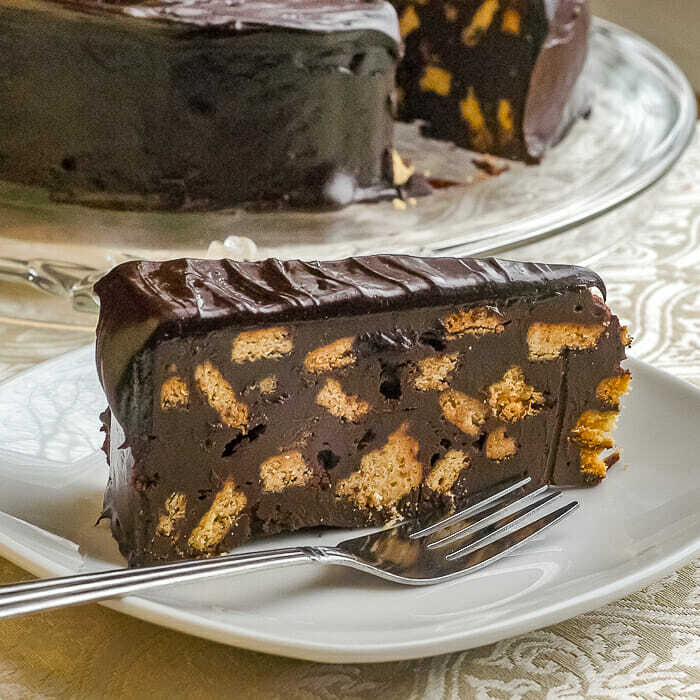 It has remained near the top of our chocolate dessert recipes ever since. This recipe has been a real go-to solution whenever I am called up on to bake a birthday cake for family or friends. 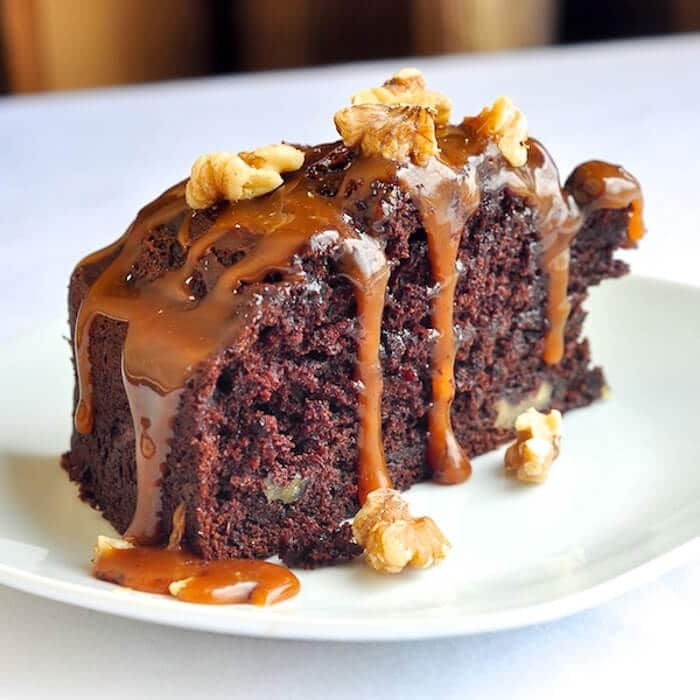 It is a melt in your mouth, flourless cake that absolutely nobody will care is gluten free. It is so rich and delicious i’ve served it on occasions and never even mentioned the fact once. 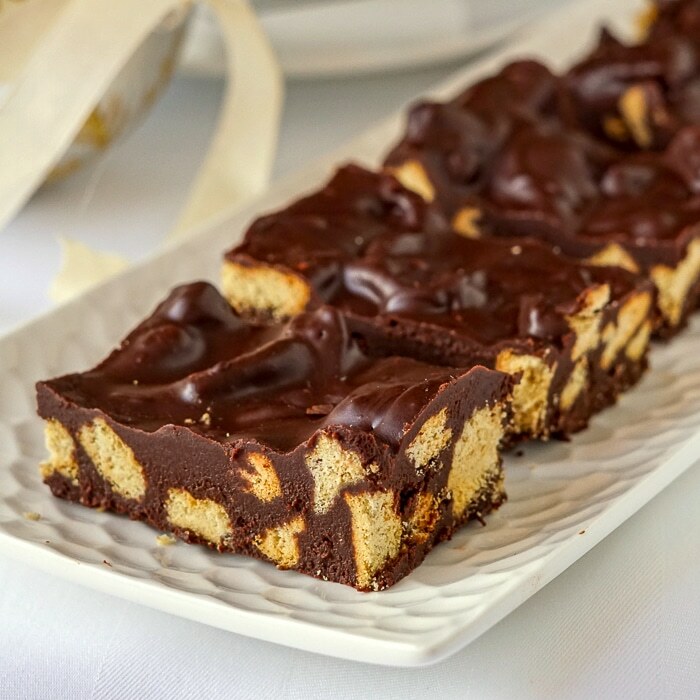 Perhaps his brother Harry’s recent wedding also contributed to more recent hits on our website for this delicious and easy recipe. I’ve heard from several people who have made it as a grooms cake at their own weddings as well. It has been consistently popular since it was first published on Rock Recipes back in the Spring of 2011 at the time of William and Kates’s wedding. 2019 Update. I now have posted how to make this dessert as Prince William Squares. 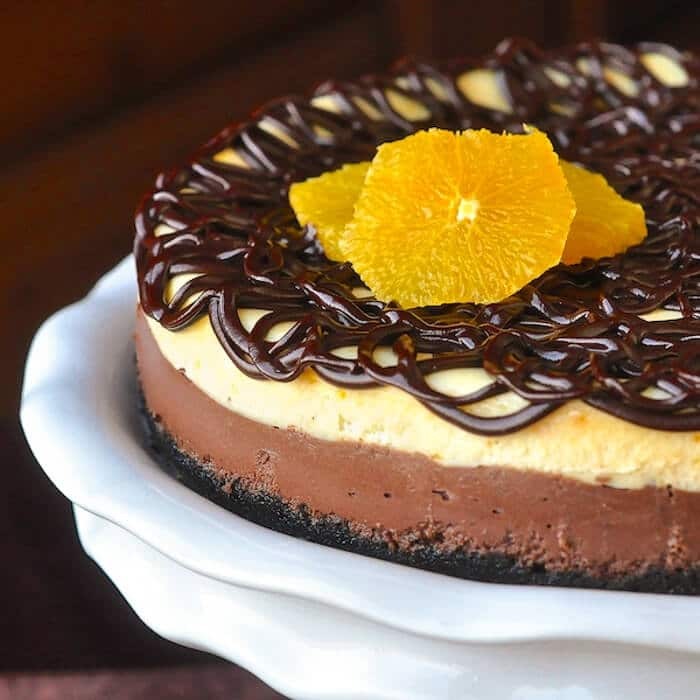 Chocolate Orange Cheesecake – perhaps the least surprising of this collection, this is my personal favourite from years of baking many, many cheesecakes in many different flavour combinations. This one was inspired by the flavour of one of my favourite annual Christmas stocking treats; the famous Terry’s Chocolate Orange! Like these best chocolate dessert recipes?